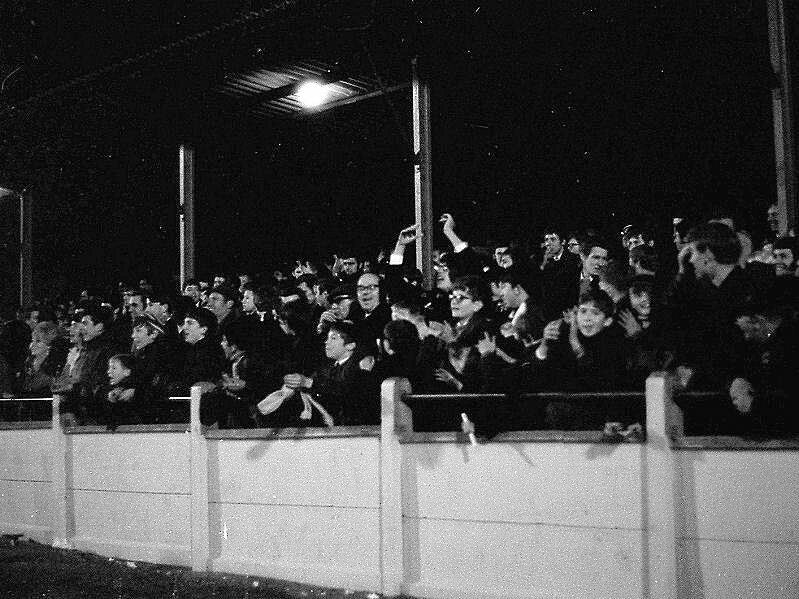 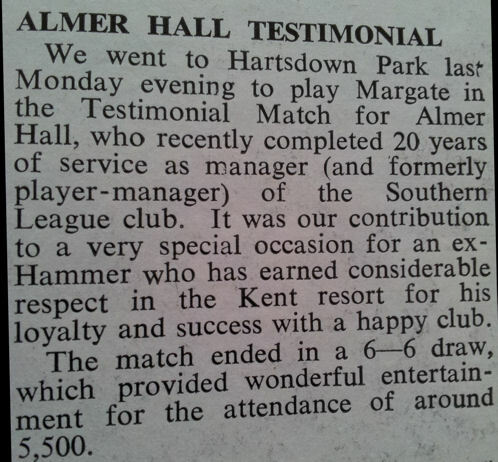 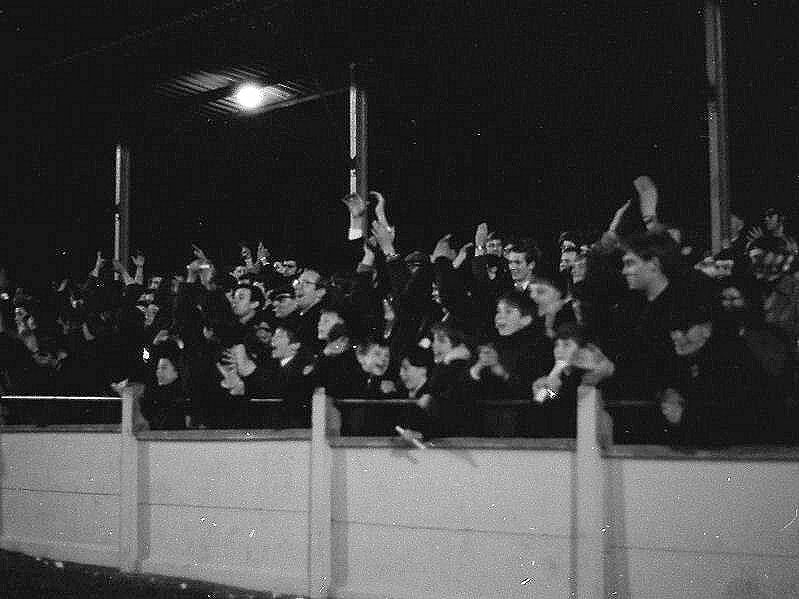 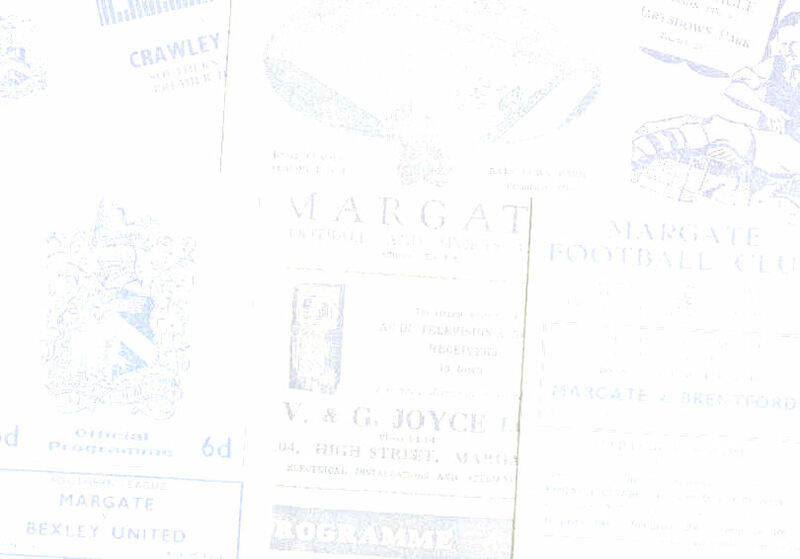 Having joined Margate as player-manager ahead of the 1950/51 season Almer Hall had been in charge for over 18 years by the time his old club West Ham visited Hartsdown Park for his benefit match in November 1968. 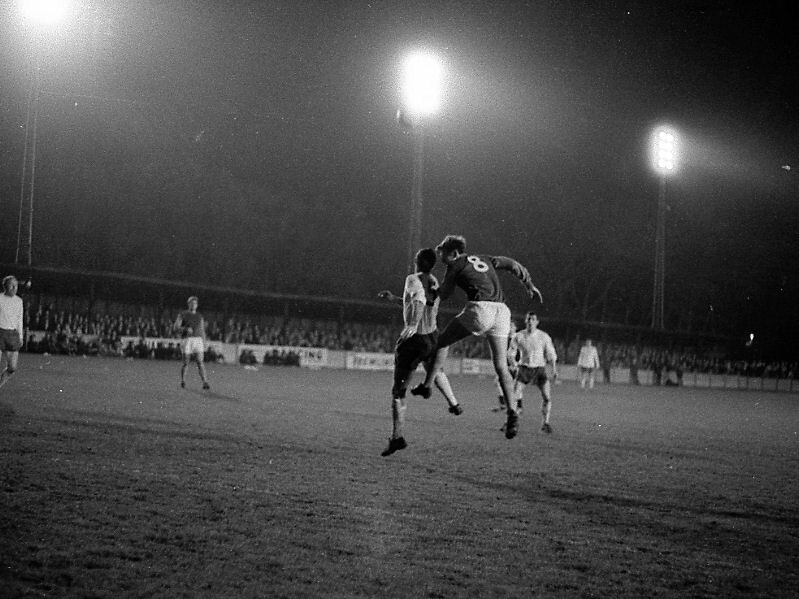 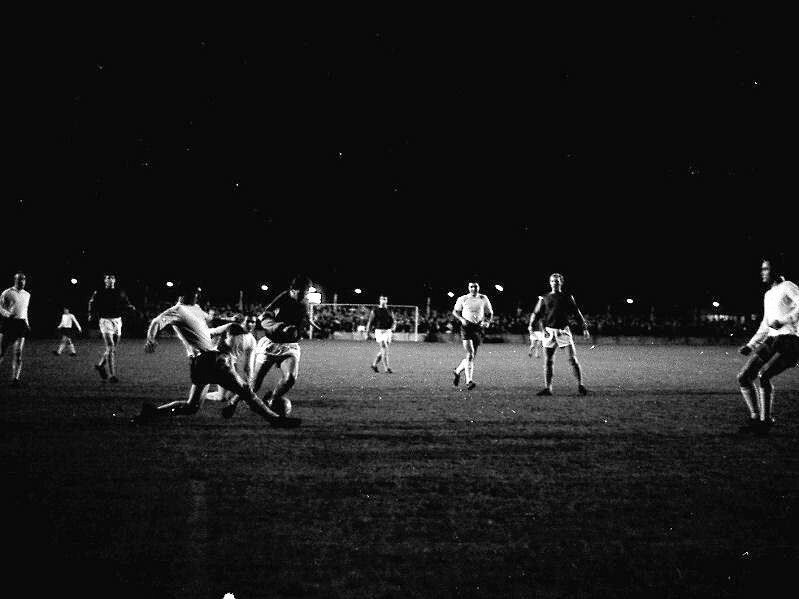 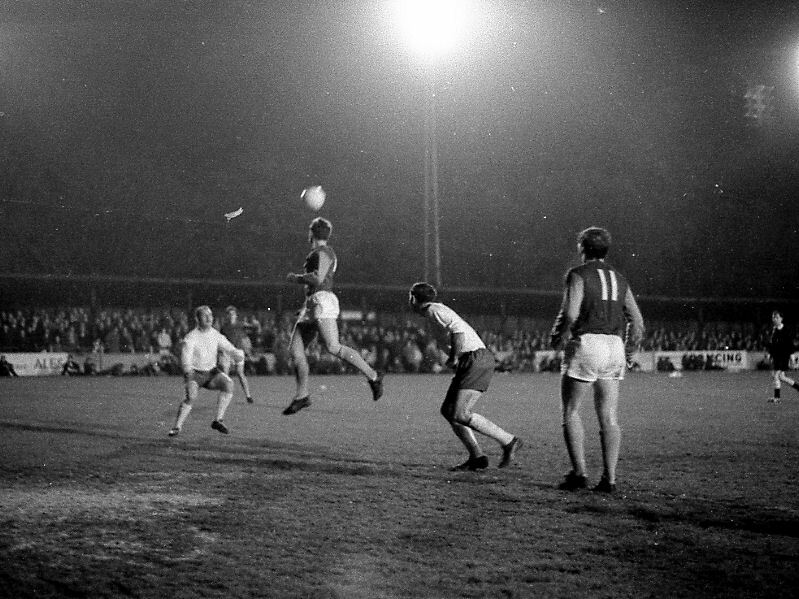 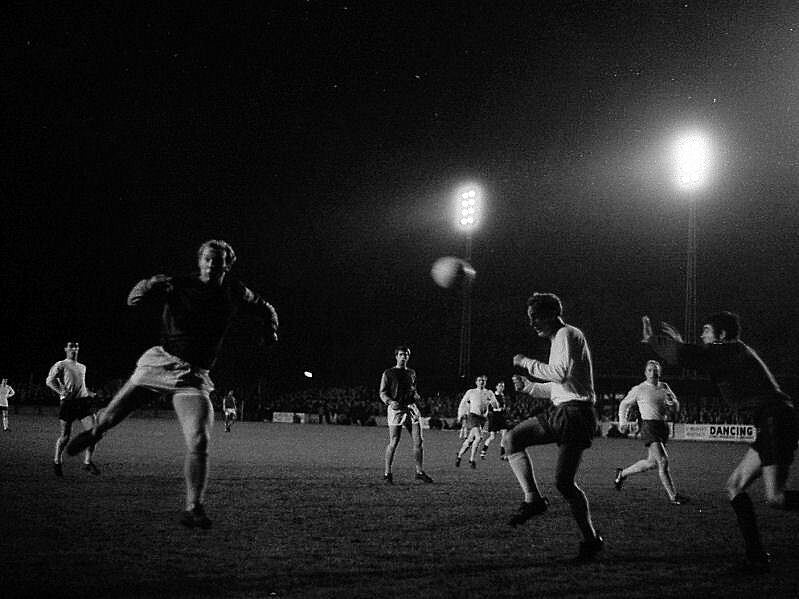 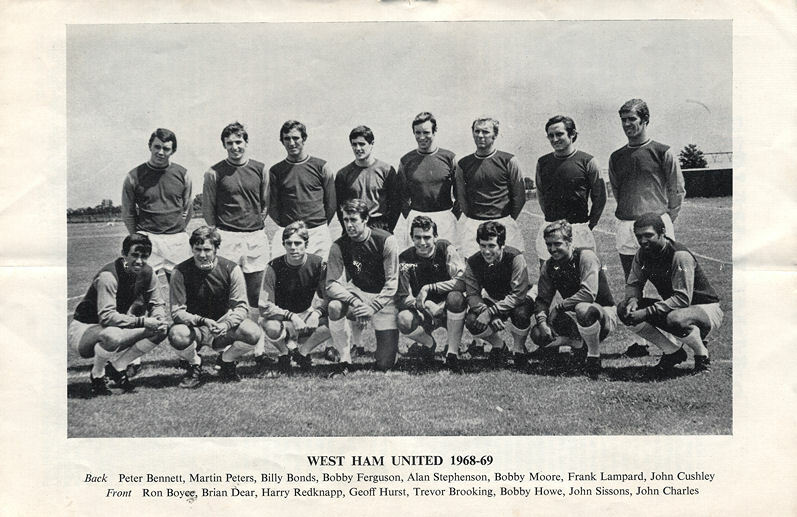 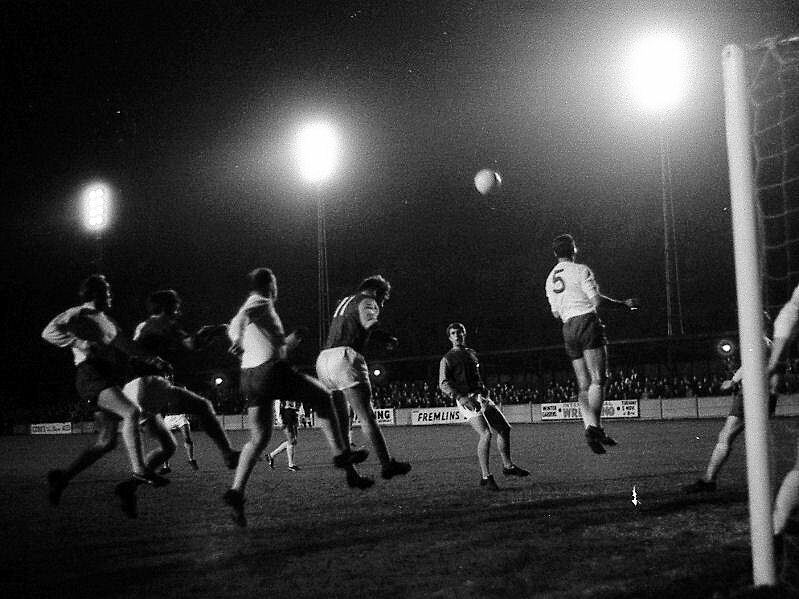 The Hammers sent a full-strength side including the legendary Bobby Moore and his fellow 1966 World Cup winners hat-trick hero Geoff Hurst and Martin Peters. 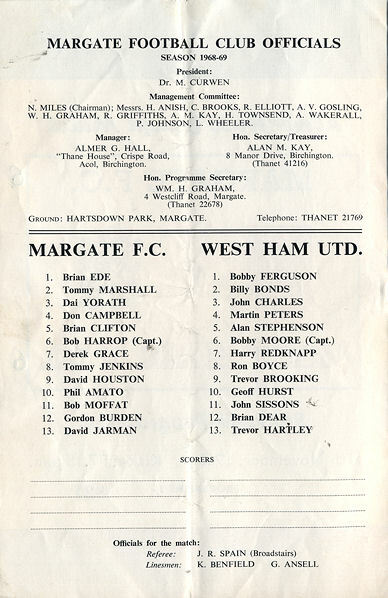 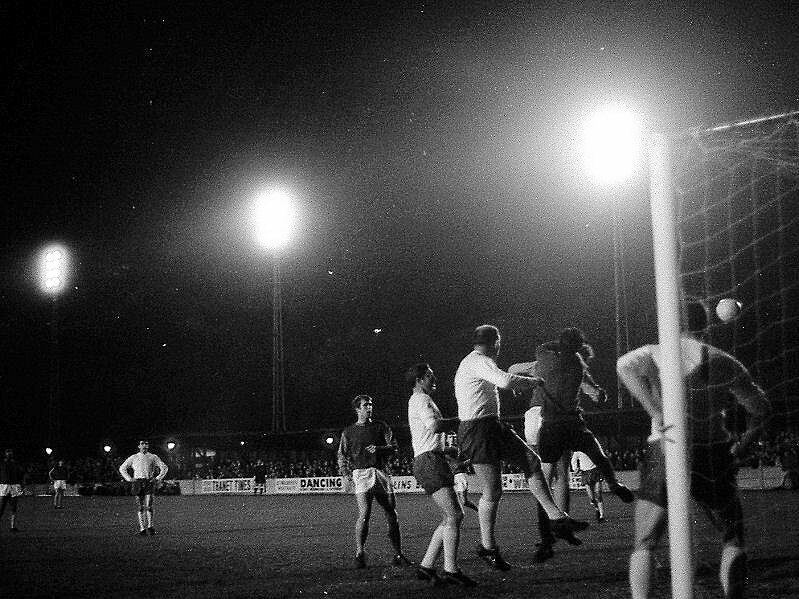 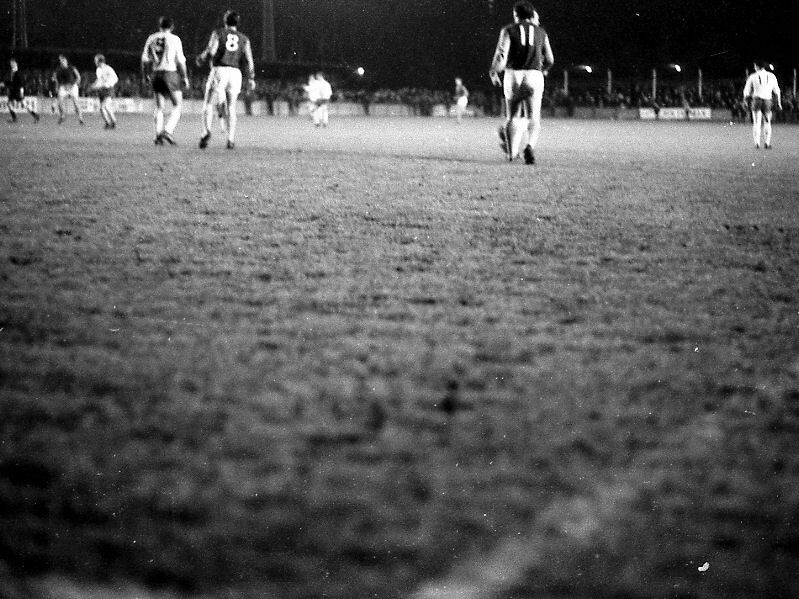 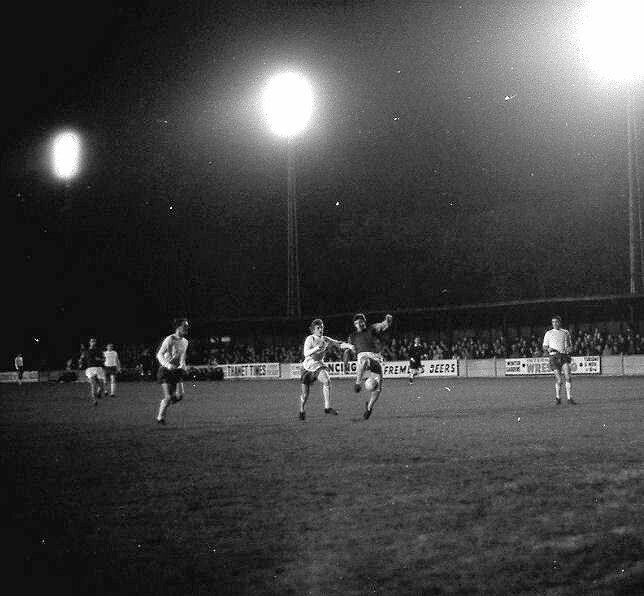 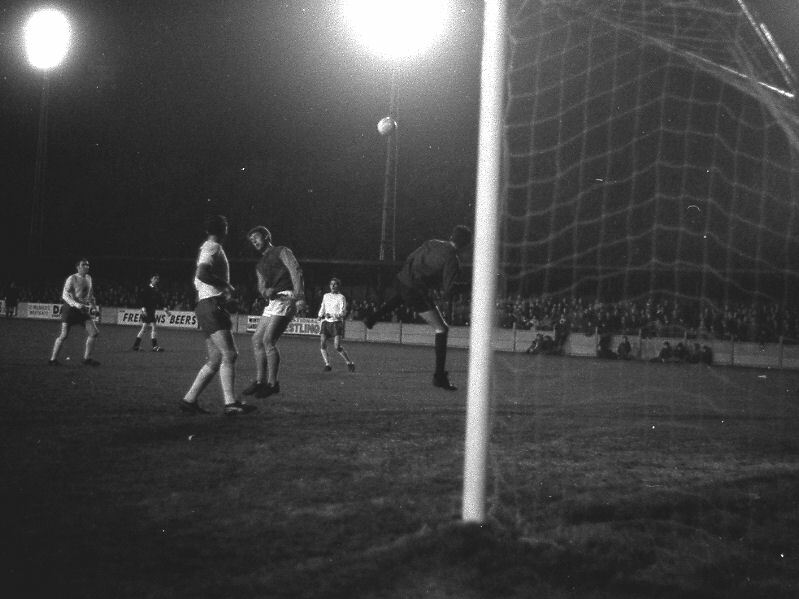 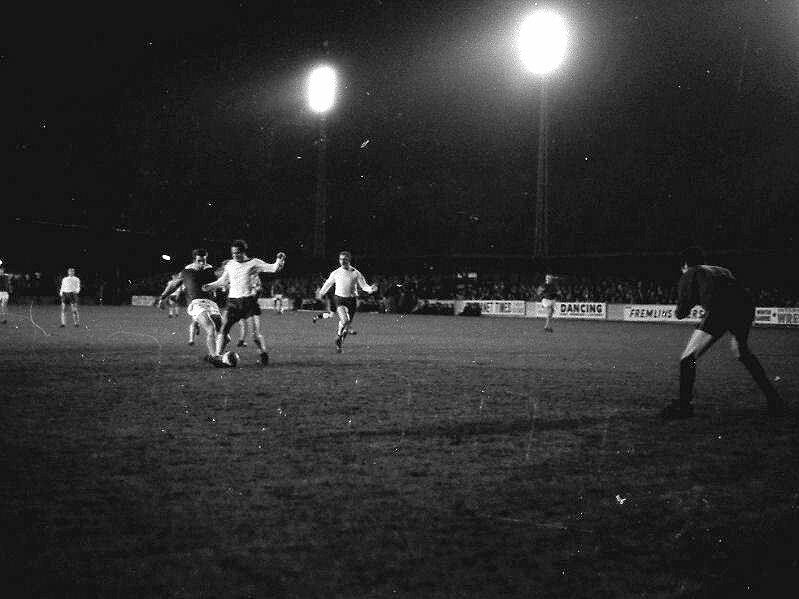 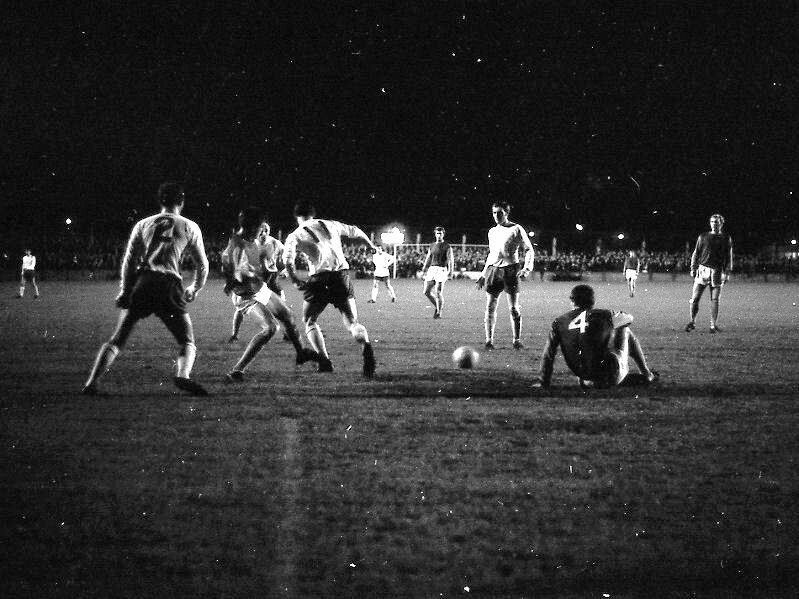 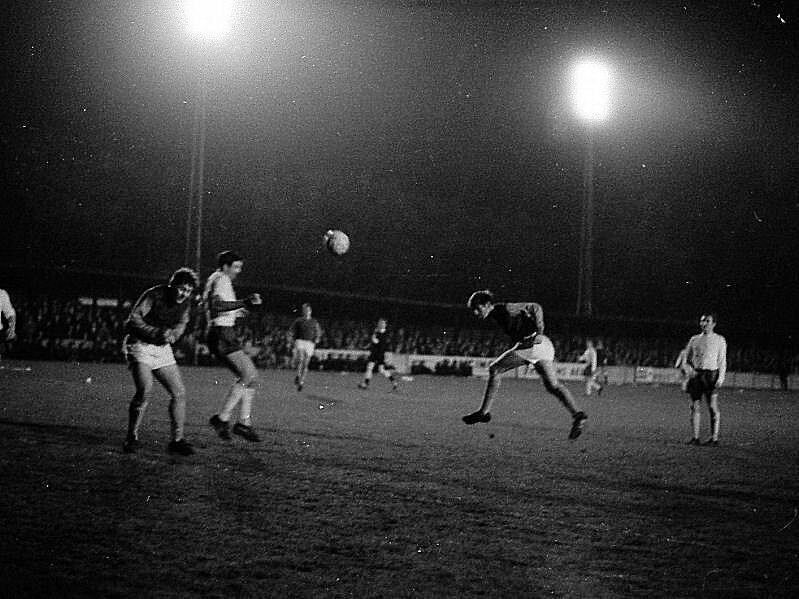 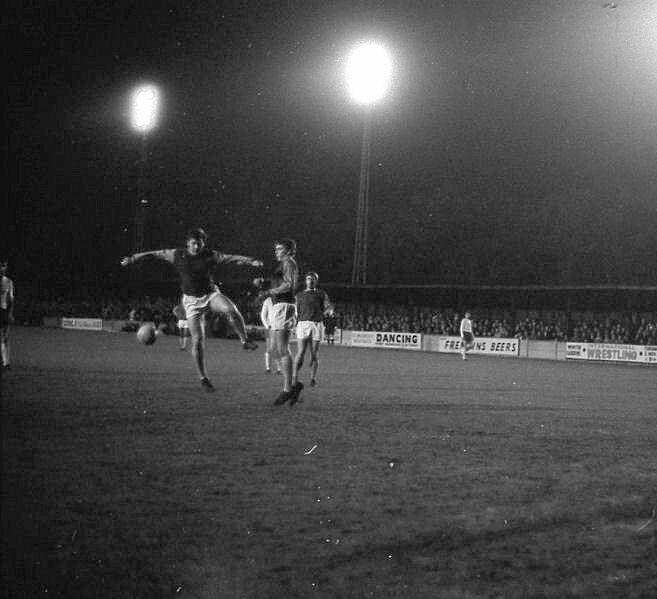 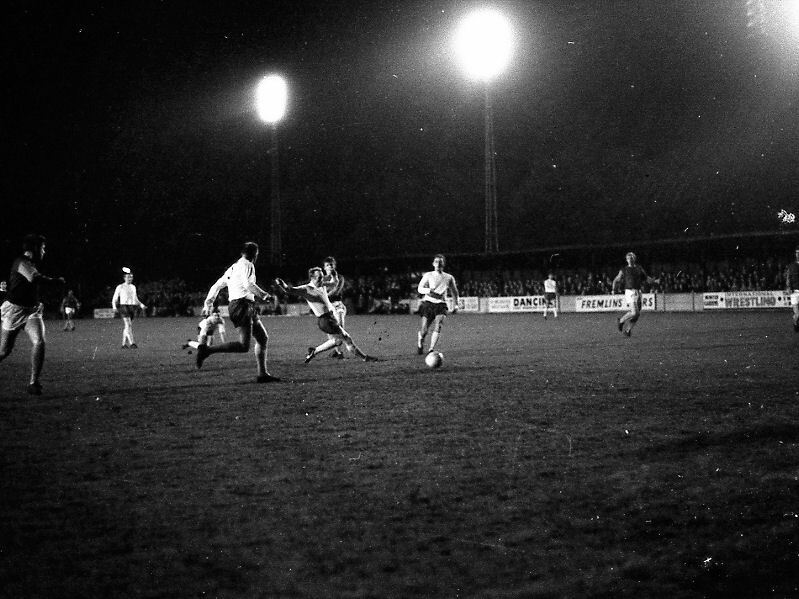 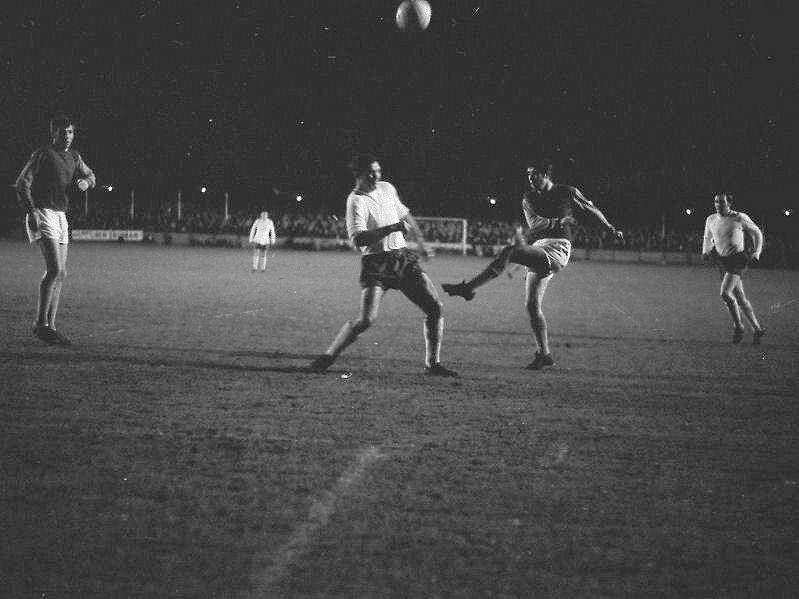 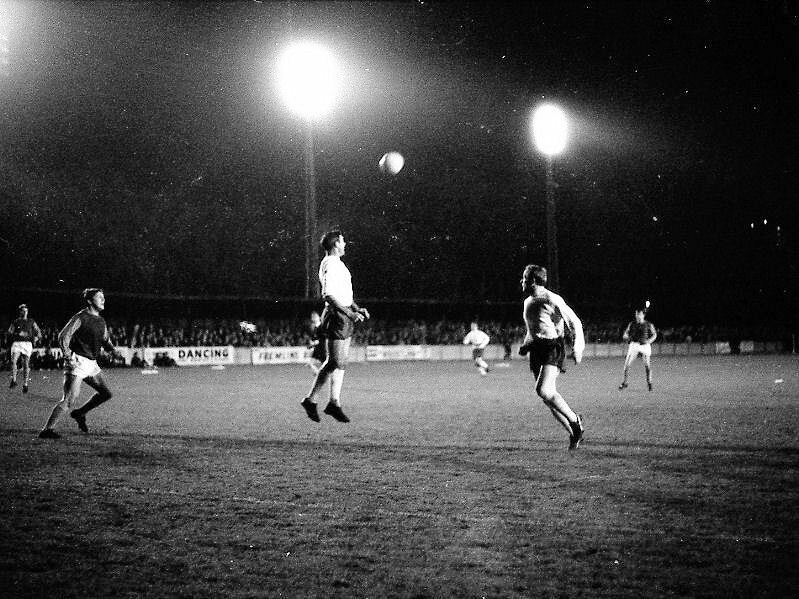 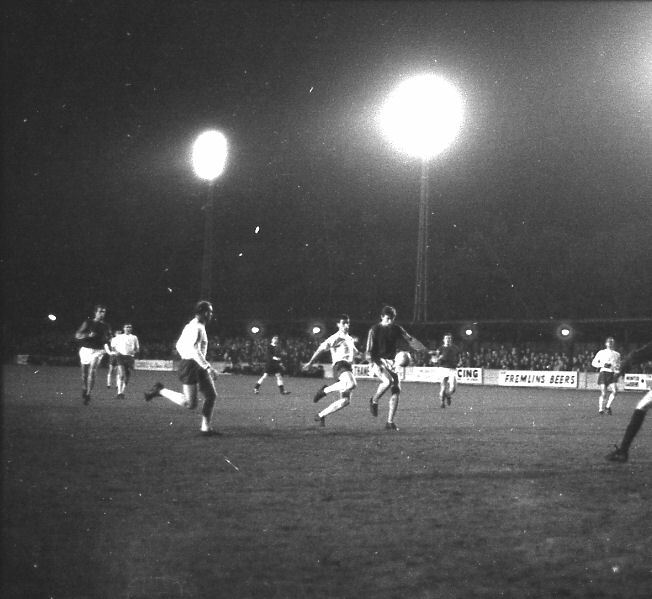 The game ended in a 6-6 draw with Peters scoring five times for West Ham and Davie Houston also finding the net five times for Margate. 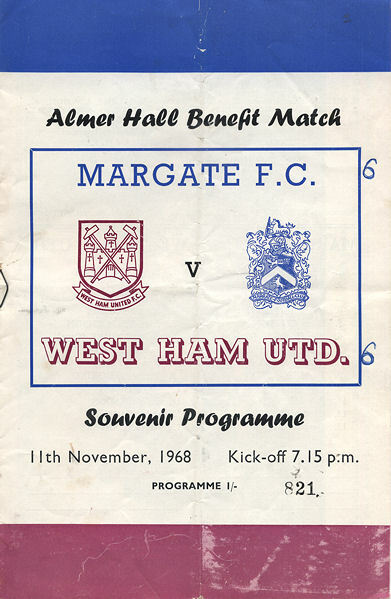 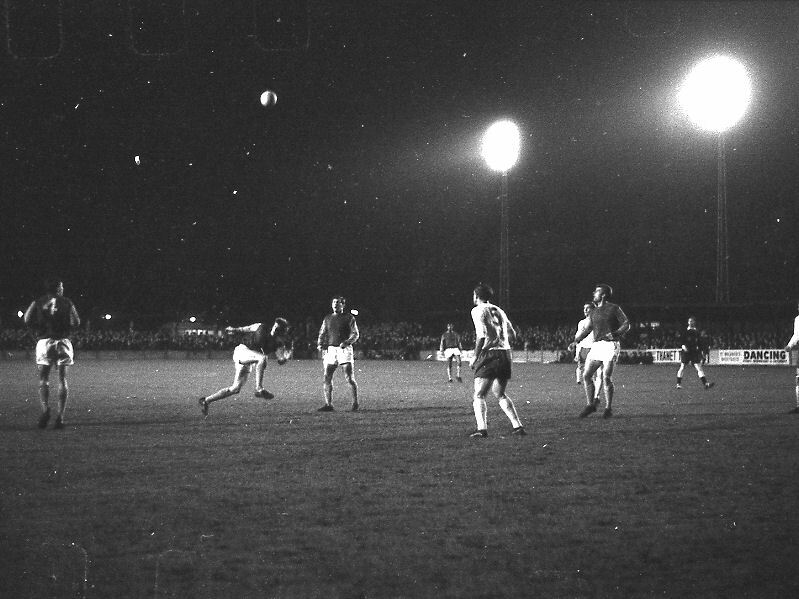 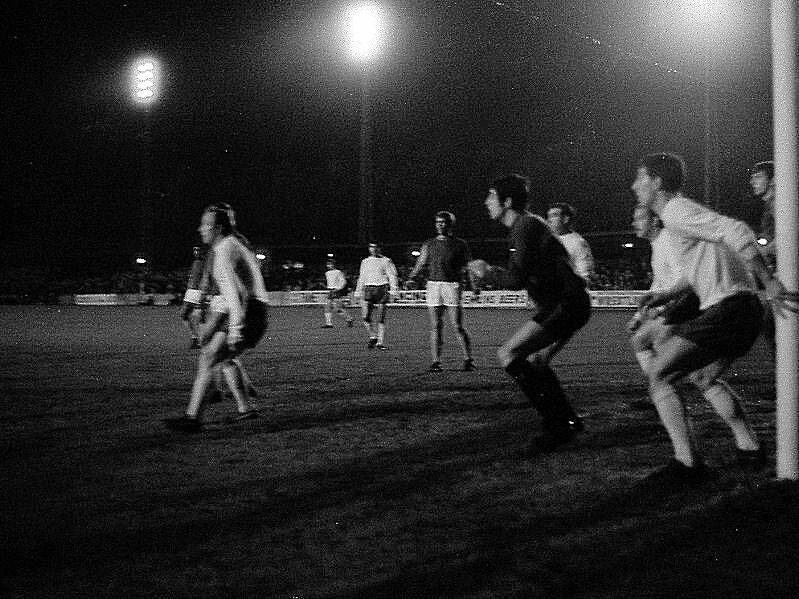 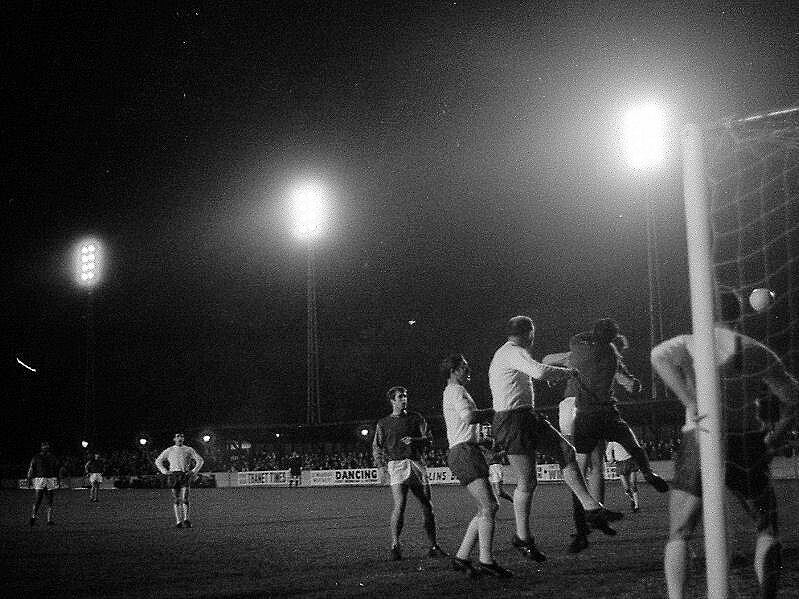 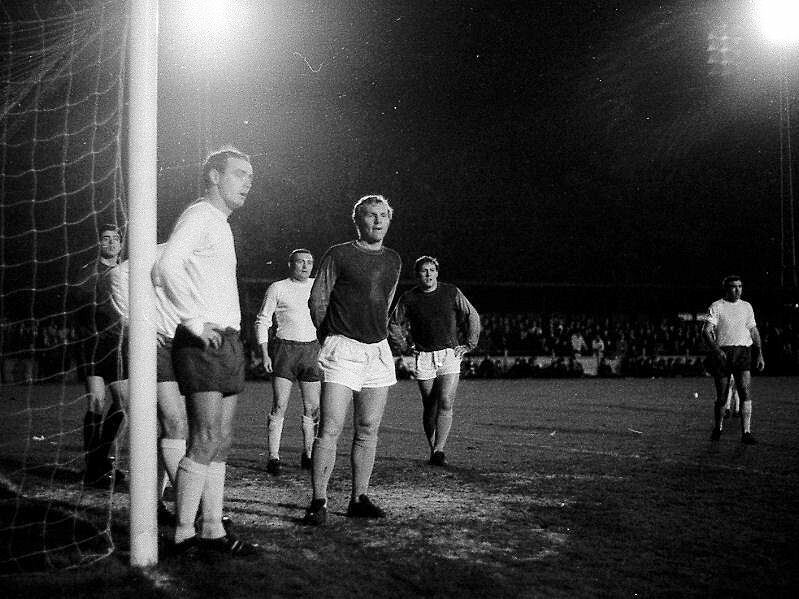 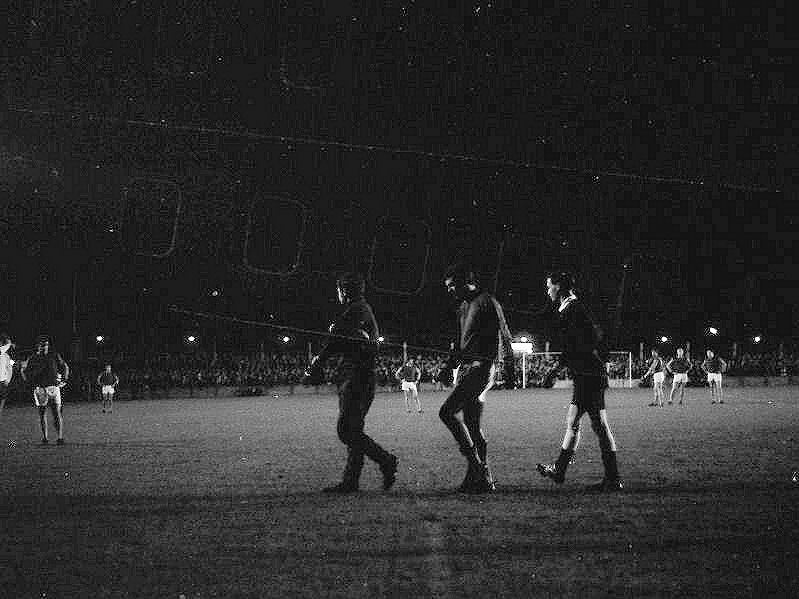 Above: Almer Hall (right) tosses the coin prior to kick-off watched by referee Jim Spain, West Ham's captain the legendary Bobby Moore and Margate's own legendary captain Bob Harrop. 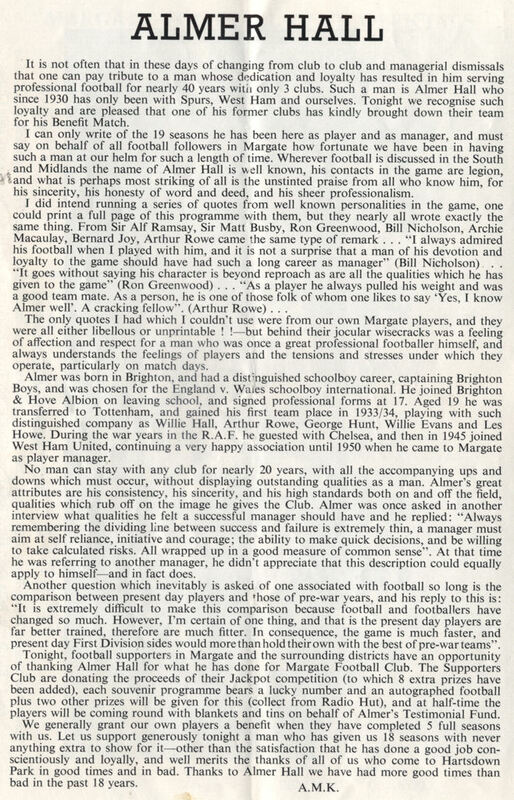 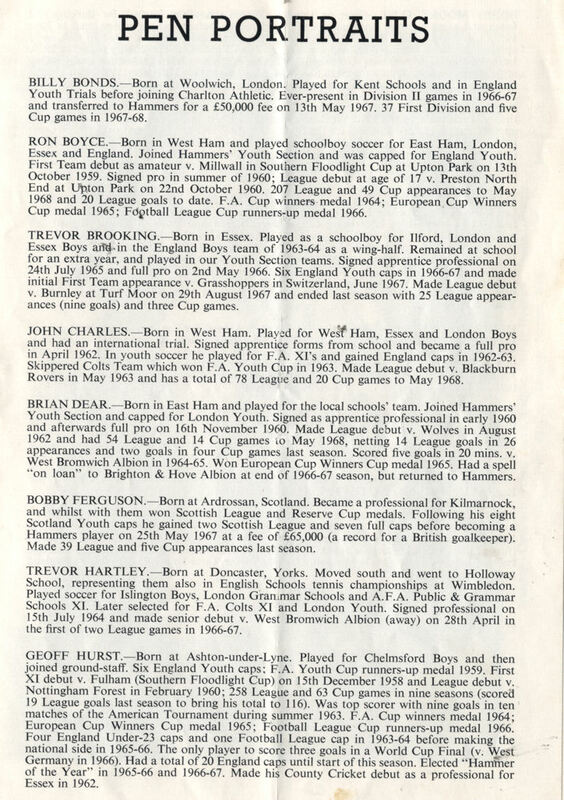 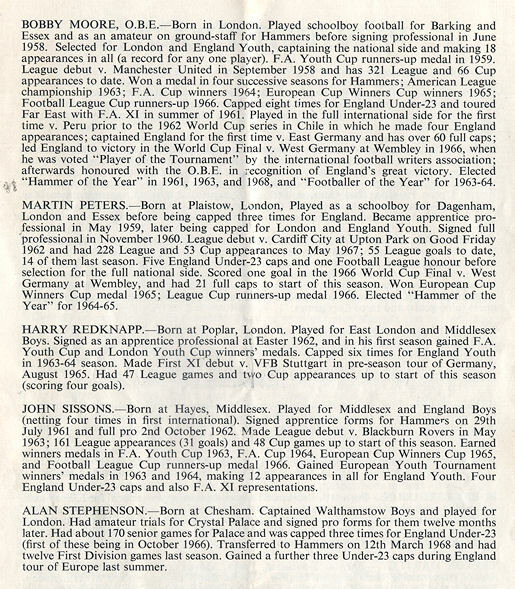 Above: A piece from a West Ham programme shortly after the match.